Connect Africa was founded by two committed and passionate individuals: Lynn S. Auerbach and Kalule Charles. Lynn resides in Uganda six months of the year and Charles lives there year round. Both directors are actively engaged in assessing the needs of the families, implementing start-up endeavors and supporting the children in their efforts to obtain an education. Connect Africa relies on local staff and advisors who intimately understand the complex needs of the community. Lynn S. Auerbach, Founder and Co-Director, has spent her career working with diverse populations, helping to empower individuals to develop their abilities in order to improve their own lives. 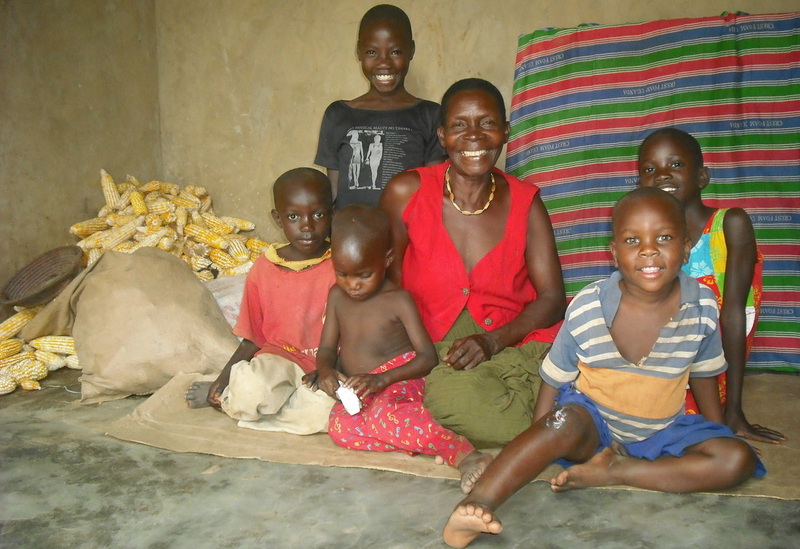 Lynn’s life-long dream to live in Africa became a reality in 2004. Lynn: I have a Ph.D in clinical psychology and specialized in violence and abuse in families. In Massachusetts and Uganda I taught college level courses. I owned and directed the business IMPACT that taught violence prevention skills and started an IMPACT program in South Africa. With all that I have done in my career I carried a desire to live and work in Africa. Now I live half the year in the village of Kyalliwajala and the other half in Boston, Massachusetts. The communities and families accept and value my work. We are working hand in hand to create new possibilities in their everyday lives and for their futures. Kalule Charles, Co-Director, grew up in the slums of Kampala. At one point in his life, his family was homeless, and many of his friends lost to hopelessness. Charles holds a degree in Counseling and Guidance. Through his work, he contributes to the possibility of a better life for those he works with. ​Charles: Poverty is the main problem of my country and Africa at large. Many things seem not to work, like the ability to go to school. I failed to continue my higher education, and then realized that things don’t happen the way we want them to. When seated on our mother’s lap when we are young, we don’t know how hard the road is ahead of us. There was a problem of no work, no money, the problem would not go away. But something told me to keep hoping. It is unbelievable that I met Lynn on this side of the world who has a big, big, big heart. Every time I think about Connect Africa I end up with tears because I always think of how can I pay back the love from people who do not even know me and have contributed to this organization to help my country. Thank you thank you thank you, these words only portray one percent that I feel. Connect Africa you gave me a chance to live, gave me meaning in my life and I only hope and wish that I will give back to people as you have given to me. For information about our talented and dedicated Board of Directors please click here.